A super loud, pealess whistle. Ideal for instructors, coaches, or referees. Adjustable nylon neck lanyard with key chain. 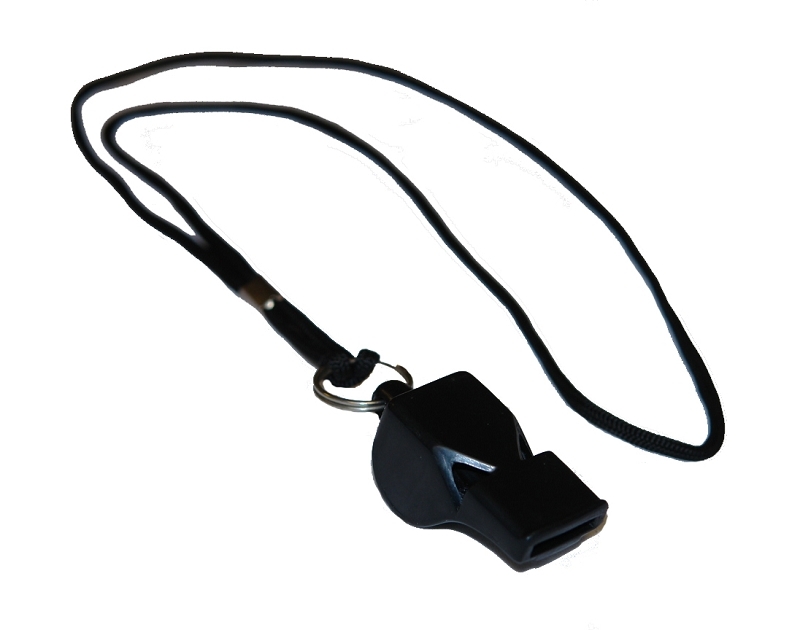 Black whistle with black lanyard. Individually polybagged.